Looking for a New Dentist? 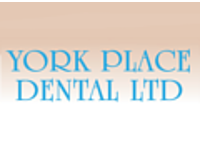 York Place Dental provide general dental services to a very high standard. We promise to deliver with every service. Wisdom teeth and everything in between! Male or female dentist available according to your preference. Give us a call then just relax and let Sharon, our Practice Manager, organise everything dental for you. As an established and renowned Dentists our services span all the general and specialist treatment and care options. We get genuine satisfaction out of seeing our clients leave with a glowing white smile.